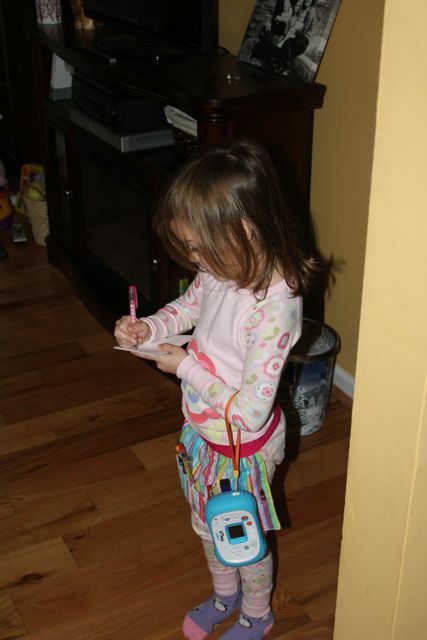 The first week of our new year has been characterized a lot of reorganization. We’ve finally gotten all the Christmas decor down and are working on making our house more efficient for our lifestyle…and maybe more sale worthy in this new year. We’re working with the girls more on responsibility and I’m trying to improve that in myself as well. It’s little things like planning a menu to help us stay on budget for groceries and trying to find one little project everyday that I want done and actually do it. I’ll post some pics later of all those little changes that I hope will improve our home’s atmosphere. 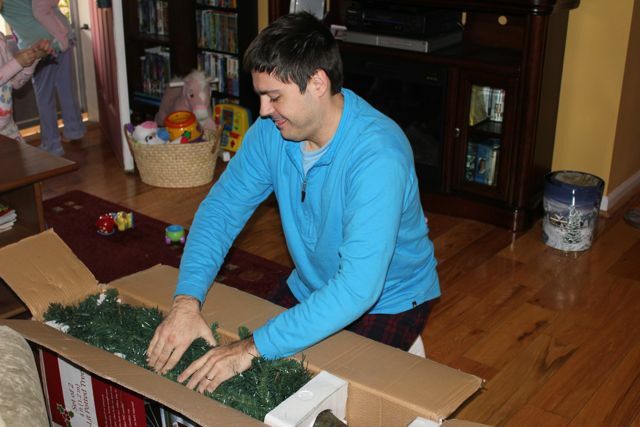 Joshua making the trees fit back in the box. 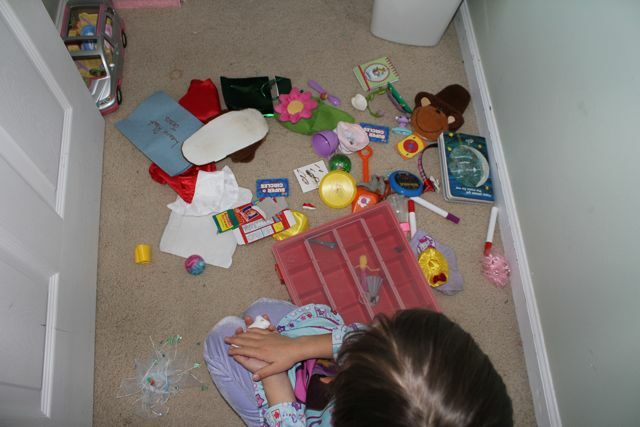 The great toy clean out. After we cleaned out their room, the girls rediscovered dress up clothes they had forgotten about and spent the afternoon pretending to be waitresses taking our orders and our pictures. 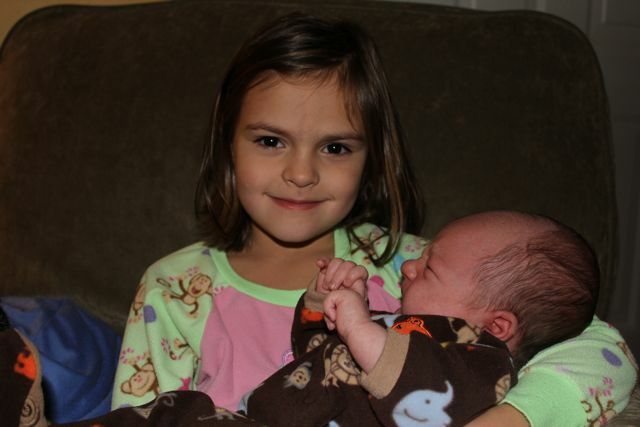 Aunt Ashley and baby Colton came to visit. 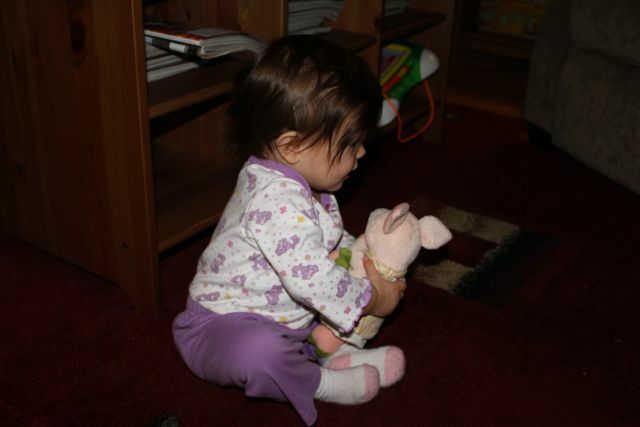 Amelia had some intense discussions with this singing pig. 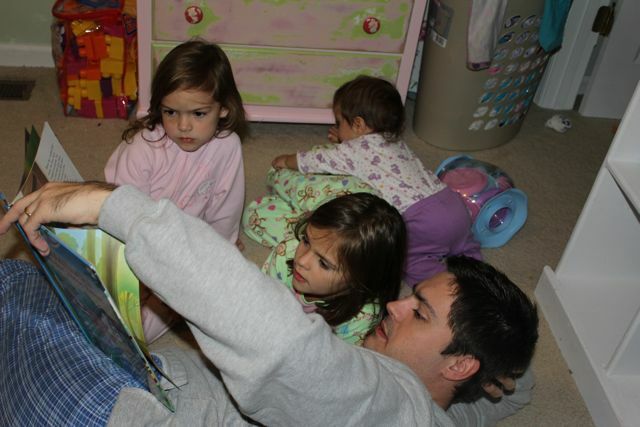 Daddy and his girls reading. Two out of three paying attention isn’t bad. 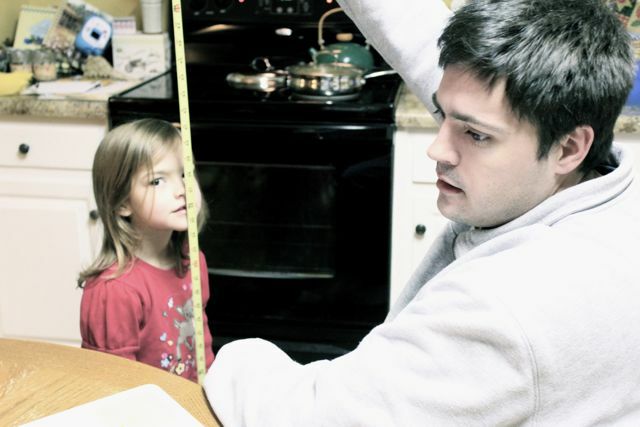 Measuring the girls for snowsuits since we’re apparently in for quite a winter. Next Post Now that’s some snow!